← An FTC Relapse . . .
farm in California, we grew just about everything. While most of the farm was planted in orchards and vineyards, we also had a good smattering of other fruits and nuts. 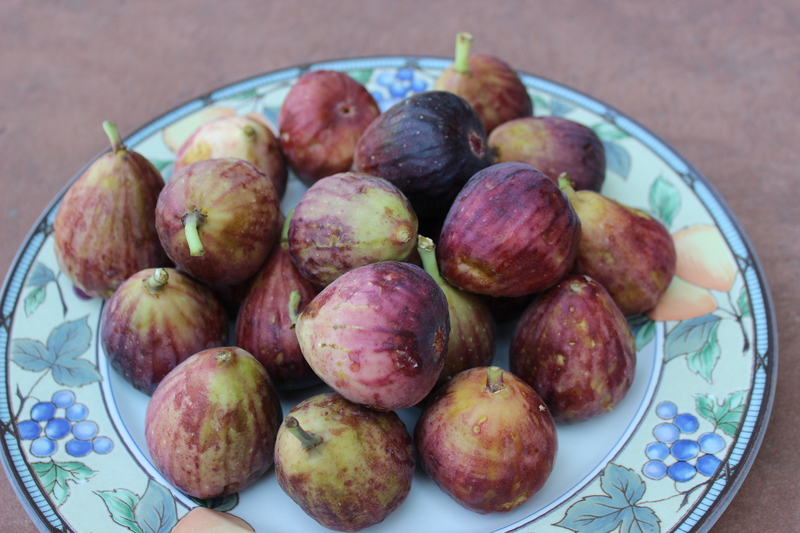 We had fig trees, both Calimyrna and Mission (yellow and purple) and in the summer as the figs ripened, they’d hang plump and heavy and we’d pluck them and eat one after the next, breaking them open, and squeezing the seedy insides into our mouths. It was heaven. 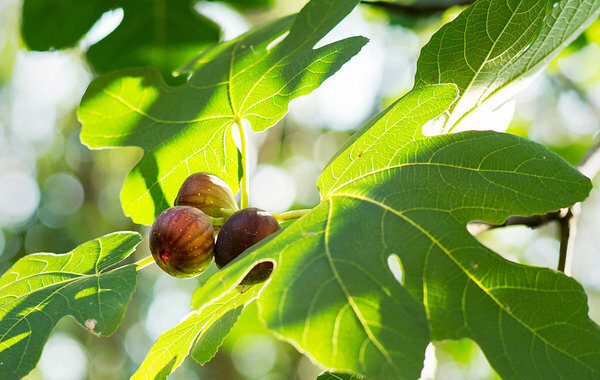 The only part that wasn’t so heavenly was climbing the fig tree to get the ones that were out of reach. Fig leaves are fuzzy. Not soft pleasant fuzzy, but itchy. We’d try at all costs not to touch the large beautifully-shaped dark leaves. If they rubbed your skin, it felt like an automatic rash would follow. That was sad, because fig trees were made for climbing. The branches were knobby and gnarly, but smooth, strong and interesting. And the leaves were a perfect cover for a secret hiding place. You just had to wear long sleeves, and that didn’t happen in the heat of summer in the Central Valley. In addition to the dozens of varieties of plums, peaches and nectarines, we also grew persimmons, tangerines, oranges, grapefruit, lemons, quince, walnuts, Jujubes (Chinese dates), boysenberries, and several varieties of grapes on the farm. It was a grand place to grow up, with deliciousness at our fingertips. 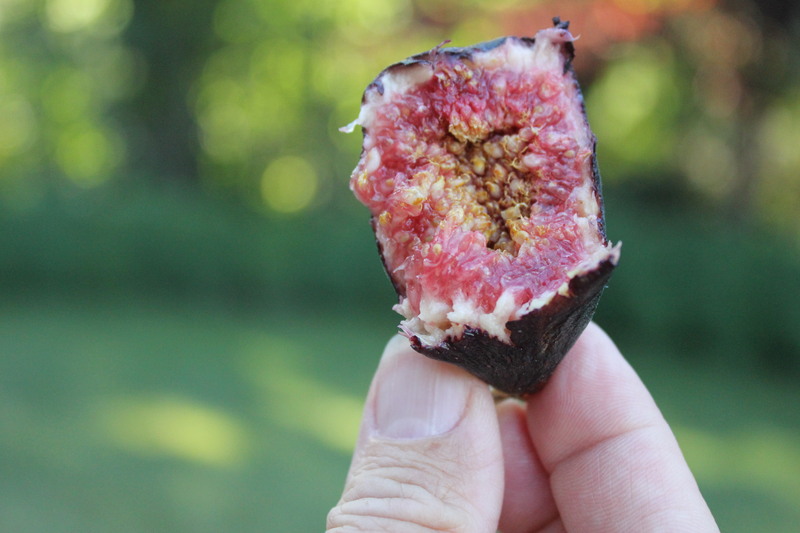 Eating figs non-stop today made me a bit homesick.